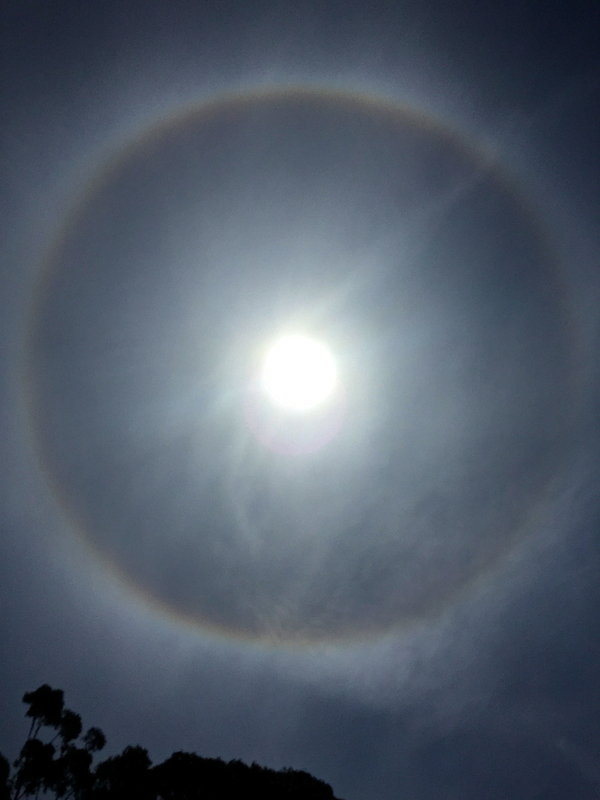 This afternoon we were treated to a ‘Sun Halo’ in the skies above Melbourne. 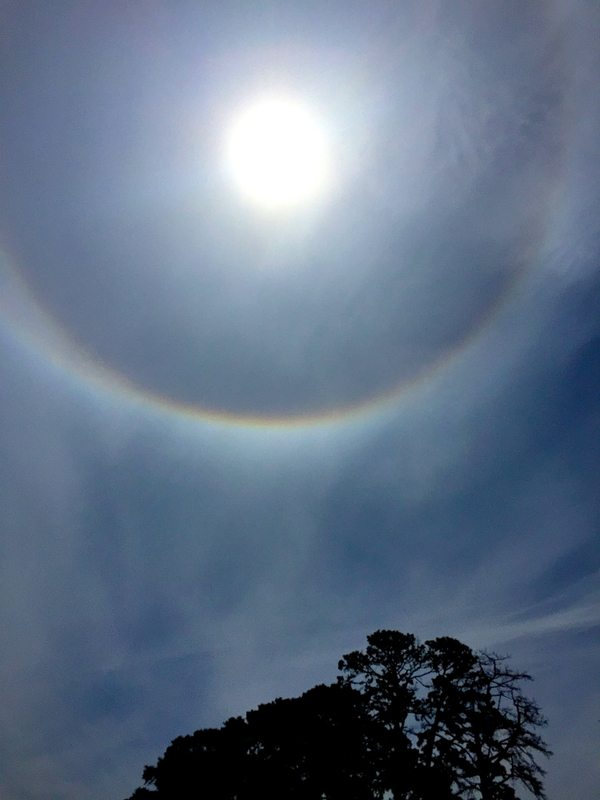 Halos around the sun or moon happen when high, thin cirrus clouds are drifting high above. Tiny ice crystals in Earth’s atmosphere cause the halos. They do this by refracting and reflecting the light. It is a very pretty sight! These images were taken on my iPhone.